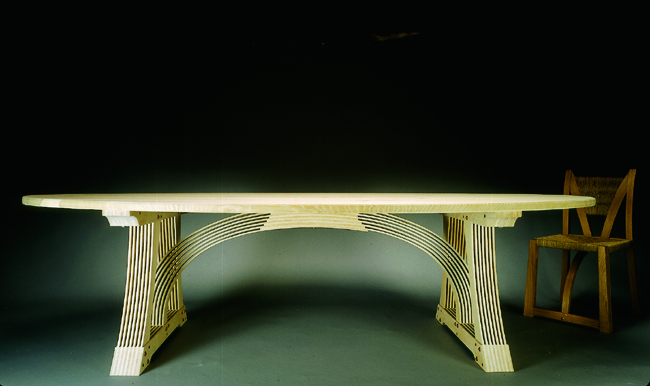 Arched Table in solid oak, bleached finish, with steam bent oak slat base fixed with copper rivets at foot. Elliptical solid oak top. Also available with rectangular top price on application.